Art Reach is a free multidisciplinary afternoon immersion program that provides substantive arts and humanities education for youth aged 13 years and up, in partnership with the Provincetown, Nauset and Monomoy School Systems, Cape Cod Regional Technical School, and Cape Cod Lighthouse Charter School. Art Reach combines a project-based, youth-centered curriculum with classroom instruction in a variety of disciplines. The two-semester program runs October through mid-May and meets three afternoons per week—Wednesday, Thursday and Saturday—and includes an exhibition in PAAM’s galleries. Youth may register for one or both semesters. Art Reach combines structure and freedom. 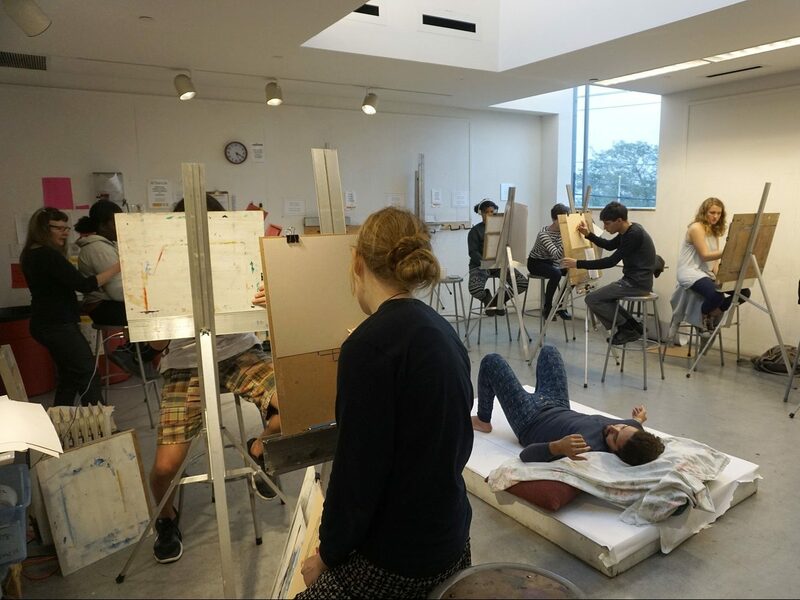 Planned activities such as lectures on art, films, group activities, music, graphic novels, video production, gallery talks, figure drawing or painting, and creative collaborations are coupled with time to identify and realize individualized projects. AR students have written original music; learned dry point etching, monoprint and silk screen printing; written and illustrated graphic novels and comics; worked on fiction and poetry; interpreted works of art from PAAM’s museum collection; created large and small figurative sculpture; created tattoo designs, video, photography and content for the Art Reach Website. Student work is featured and celebrated in PAAM’s galleries during the program year. This class will explore basic techniques to bring to life your stories and your art. We’ll look at the world of animation – the people who draw and design, the actors and performers, and the comics and storytellers. We’ll discover how an artist develops a project from start to finish, and what makes a strong animator. Using digital tools as well as traditional ones—from computers to clay, cameras to hand-drawn images—we will generate visuals and capture images to create the sequential art found in flip books, comics, zines and animations. We’ll create at least one simple animation each class—by the end of the semester you’ll have at least 10 short animations to show! The world of animation needs your talents, so come join us! Sessions will focus on a variety of media and approaches, including drawing from the model, silk-screen printing, lithography, and dry-point etching, sketching from observation, painting, and mixed media. Individual attention and freedom allow for beginners to work alongside advanced students interested in portfolio development. If you love making art and you want to work in a professional studio environment these sessions are for you.